If he pulls off any of these moves on the pitch he will be a fans’ favourite. Ings could be a shrewd signing for Liverpool. HE MAY HAVE arrived as a free agent after letting his Burnley contract wind down but Danny Ings has a bucket-load of skills to bring to his new club Liverpool. The 22-year-old signed for the Merseyside club yesterday despite reported interest from Tottenham Hotspur. He becomes their second summer signing following their capture of free agent James Milner. For those of you who may not have been watching Sky Sports’ Soccer AM in December 2008, you may have missed this brilliant Skill Skool between Ings and one of his former Bournemouth academy team-mates. 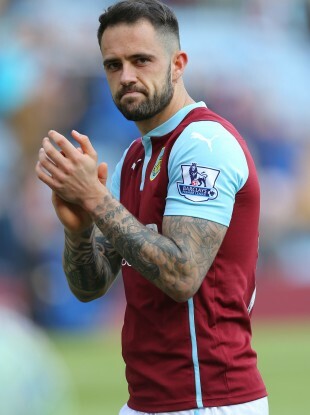 Ings left Bournemouth in 2011 and went to Burnley where he made quite a name for himself in the Championship, scoring 21 goals in the 2013/14 season which fired Burnley towards promotion to the Premier League. His first season in the top flight has been bittersweet, with his side being relegated while his 11 goals have secured him a move to Liverpool. If he shows any of this type of flashy skill at Anfield he will soon become a favour amongst the Kop. Email “Liverpool fans, here's a taste of what to expect from your new signing”. Feedback on “Liverpool fans, here's a taste of what to expect from your new signing”.